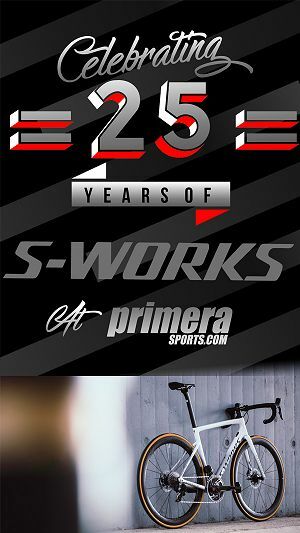 How did you get into the sport of cycling? RPC: We have developed year on year, starting as a club team in 2014 and have made progressive steps each year. 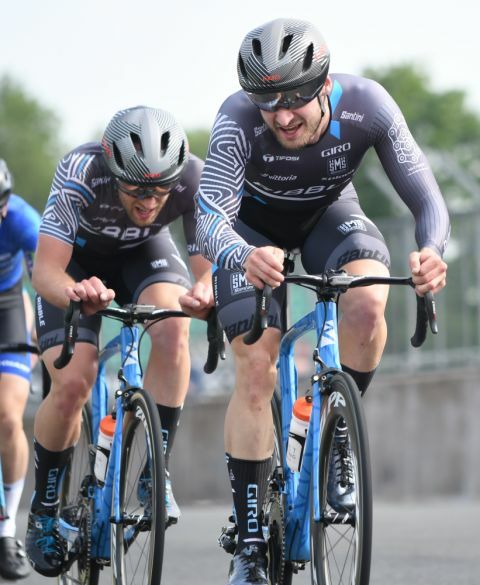 In 2017 and 2018, we had strong national level success across road and time trial disciplines (and on the track before KGF, then HUUB developed in their own right) and we have always mixed this with a good UCI program for a non-UCI team. Full time, student or working? RPC: Probably a mix. We have funded riders like Mark Stewart who mixes track with GBCT and the road with us, part time working riders like Alex Dalton who is new to us this year. Most of our riders have their own projects. Jacob with his coaching and he’s started to do more with HUUB alongside that, obviously Dan with WattShop and his consultancy work, but we have Richard Jones who invented a product called TyreKey that has really taken off. Tom who has managed the UCI process for us this year is also CEO of a smart energy company and Matt who will direct the team has a share in a new Studio in Manchester making ceramics under his Little Torch brand. Really its an eclectic mix but everyone has something they can bring to the table from a range of different industries and backgrounds which is quite starkly different I think to a lot of teams. I think I would encourage that for anyone do something else, it makes you a more interesting person and gives you outlets and opportunities off the bike. Best Race for you and why? RPC: There is nothing that really stands head and shoulders above others. We were consistent and prominent all year, Dan did a great ride in the Nationals in the break all day and winning the KOM and Alex started really well for us in Ireland winning a stage and the points jersey in the Ras Mumhan alongside Gruff’s win in Tunisa. We are going to sharpen our focus on specific objectives and races for different riders in 2019 rather than approaching it to be at a consistent, good level all year which is what we have done in the past. 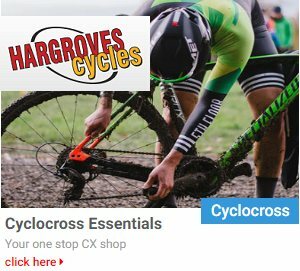 Best organised / fun race you did in 2018? RPC: Rutland is always a fun well organised one and it will be interesting to see what Colin’s new race in Bourne is like. Anything in Belgium is always great just because of how much cycling is engrained in their culture. It will be interesting to see the difference between the 1.12B’s and 1.12A’s and the Pro Kermesses next year. Toughest race of 2018 and why? RPC: Only one answer for this one. We went to Tunisia early season to do a stage race. Looked good on paper with 150-200 km stages, solid weather for that time of year and some good opportunities. Despite the long term forecast predicting 14-18 degrees when we arrived it was torrential rain, sleet and minus temperatures for the entire week. Stages were shortened and cancelled, folk abandoning crying in ambulances, rural villagers coming out of their homes on mass as it was the first time they had seen snow. The final day was changed into a 1.2 single day race after all the disruption and Gruff went on to win it which really made the trip and suffering worth it. But when the lads got back they were all ill for two or three weeks with stomach issues and fevers so it took a really toll on us at a very early stage of the year. Funniest moment in a race in 2018? RPC: We had little trip to Belgium at the back end of the year, just three riders, no staff to do a few Kermesses. Anyway to cut a long story short, Gruff won and one of the prizes was a big dark chocolate devil on a bike (was a bit strange). Someone from the organisation had made it and it took weeks apparently. They handed it to him on the podium and he almost immediately dropped it and it smashed into pieces. The whole podium entourage gasped and looked as if they were going to cry! Anyway Gruff in a way only he could smoothed it all over and offered everyone in the entire race some chocolate which seemed to work and stop us being banned from ever returning. Do you train alone of have others to help you get through the ride? RPC: A mix. We are spread across the country so we have pockets of riders that train together when they can, like in Derby or the North East. Seven of the team met up recently and did a really long ride to kick start the winter. We try for something like that once a month just because it’s nice to catch up and we are friends off the bike as well as being team mates. 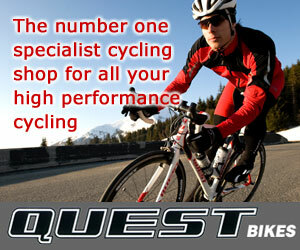 In winter – training on the road or indoors? RPC: A total mix, some always on the road but I know Tipper and Si love a bit of Zwift. How many hours can you fit in during and average week in winter? RPC: This ranges, most riders are in the gym now twice a week alongside the training and combine that with five sessions indoors or outdoors between 12-20 hours a week, increasing that in January. Do you train with gadgets, or just on feel? RPC: Gadgets of course, everyone has a power meter. Training is so scientific now and with all the riders mixing other commitments and challenges it’s important they are able to quantify their exact effort and maximise every hour they have available. Which pieces of the clothing would you use to keep warm and dry on a rain, cold winter day? RPC: Lot’s of layers. We are transitioning to a new supplier from late Jan onwards so have been training in plain kit for the most part. Tom Barras has helped us a bit getting sorted with his Spatzwear overshoes which make a big difference on wet days. A couple of riders are working with new coaches this winter which is already having a positive impact for them. What are you key goals for 2019? RPC: I don’t want to sound like a broken record on this but obviously we will try our up most to gain selection into Yorkshire, and then meet whatever criteria is laid of for the Tour of Britain. I’m hopeful we can still mix in some interesting races abroad to compliment everything that is going on in the UK and continue our success in time trials. If there was one race you could get a ride in during 2019, what would that be and why? RPC: I think the same as the previous answer really. 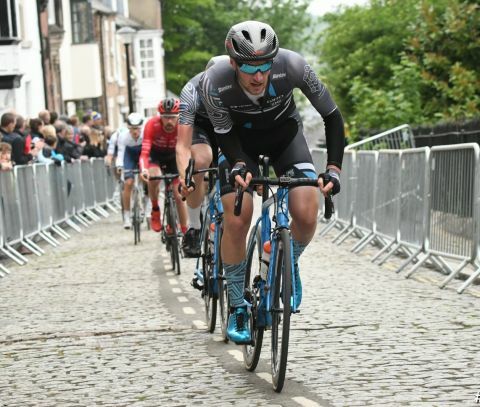 It would have to be Tour of Britain, for the length and opportunities that presents, the coverage it creates and how much it would act as a showcase for riders. I read a quote from an unnamed person last year refusing to accept that a British Continental team was a “feeder” or “development” team but a big team in their own right. 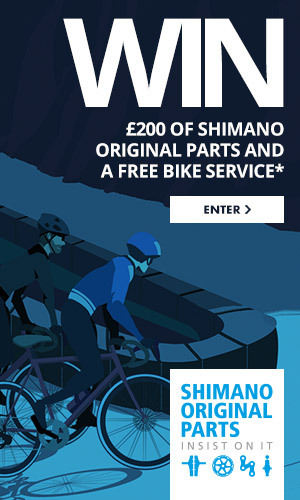 I’d totally dispute that and love to see a rider perform at the Tour of Britain or Yorkshire and move to a higher tier of the sport, and would do everything possible to facilitate that. In the past, maybe this is changing now with the wholescale change we have seen this year the British scene has evolved beyond its remit, hopefully we are able to show this year what is possible with an honest, but innovative approach and not the biggest budget. Favourite pro race watch on the TV and why? Do you race in the winter to keep the top end or focus on training? RPC:Maybe we have in the past but not anymore, it’s a full training focus until the culmination of that which is a full team camp in Calpe in late Feb, before we starting racing in March. Best thing about being a UCI team in 2019? RPC:Nothing yet! It’s been a process to get through which we have worked really hard on. We are going to the Tour of Yorkshire presentation on Friday 7th December which is a nice starting point and then we have a full team introduction in late December, so hopefully things will start to develop properly from there. We have had some amazing support from the whole team at Ribble but particularly Andy Smallwood (CEO), Matt and Gavin (the digital and creative leads) as well as some great backing from some other British Companies; Walker Brothers for example who are based in Newcastle and covering all our wheel requirements on the road and time trials and Le Col who have put together an comprehensive package for the riders and a really slick design. 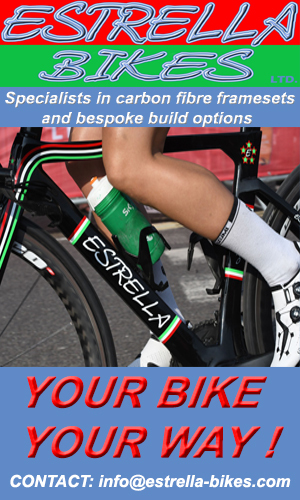 Which Ribble bikes did you race on in 2018? 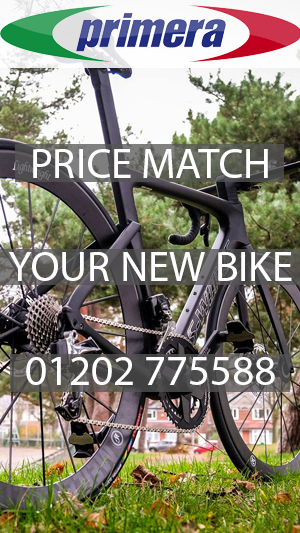 RPC:We used the 883 model, in a custom colour way which Ribble offer as an option on a number of models on their website. RPC:Obviously the design caught everyone’s attention but the performance has been really solid across both models, the bike is stiff, its aero but compliant with it. We did some really good work during the early stages of the Ultra TT process and got Dan, Si and John as fast as anything else UCI compliant out there. 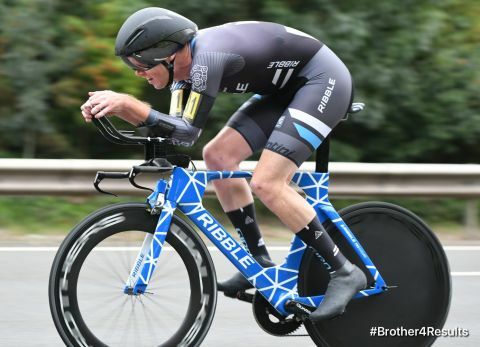 John won the National 10 on the bike and Si had an unbelievable time trial season breaking a number of course records.